They are the ghostly manifestation of agony, for in them the despair of tormented souls lives on. Thanks to Nagash's curse, souls who had to leave the mortal realm in a particularly cruel way turned into the Bladegheist Revenants, panic-driven beings chained to the Realm of Shyish. 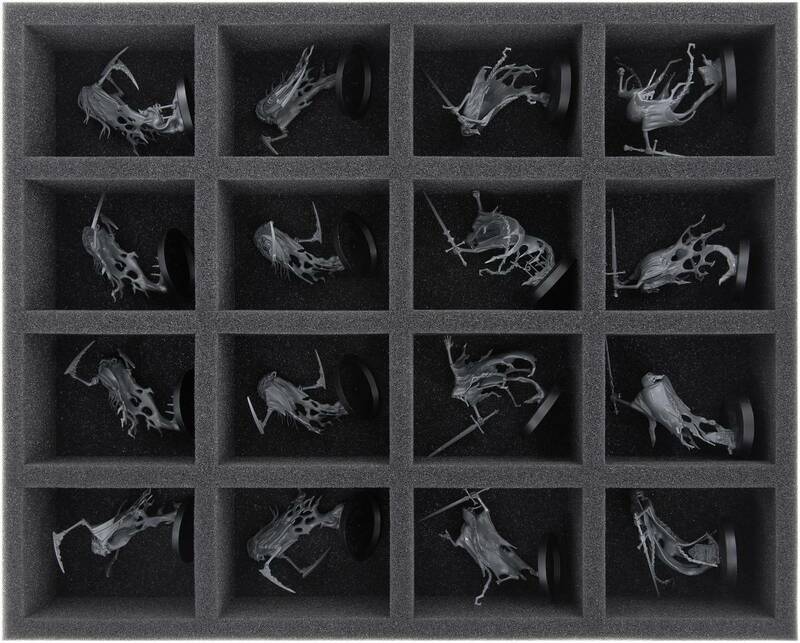 In order to protect you from the torment of damaged miniatures, we provide you with this foam tray to ensure the safety of your bony warriors. 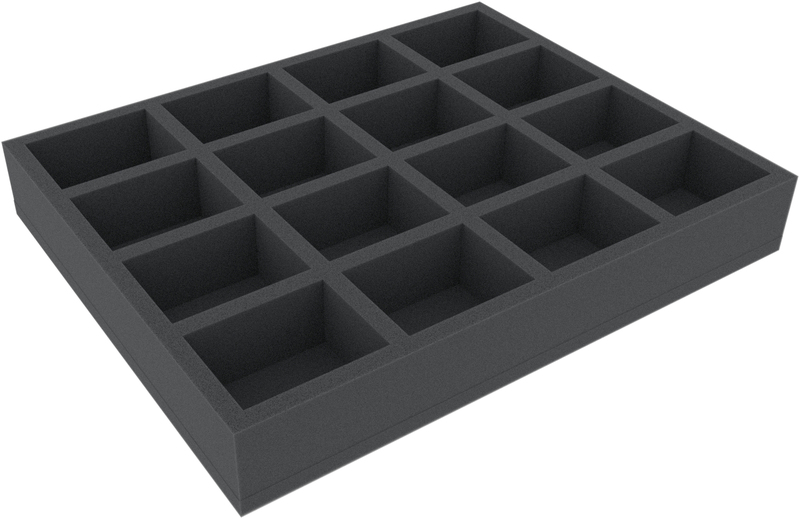 The Full-Size mat is divided into 16 compartments in which the figures can be stored separately, safely embedded in foam. This makes sure that swords, cloaks and chains remain intact and the colors of painstakingly painted models are preserved. In addition to the space for the 10 Bladegheist Revenants figures, there is also space for game material or further GW miniatures. 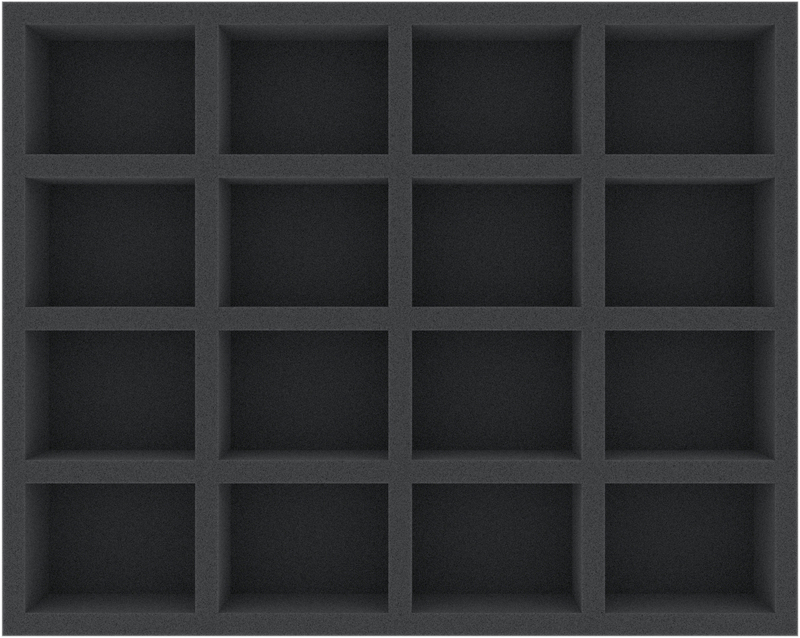 Each of the 16 compartments is 74 mm long x 56 mm wide x 40 mm deep.